Kaery never intended to become a self-protection expert or a firearms trainer. In 2005 she loved her busy days as an at-home wifey to one and mommy to three when a horrific attack took place in her hometown. In May of that year, a violent aggressor savagely attacked a Wolf Lodge, Idaho family as they slept in their rural home, killing the parents and their teenage son, and kidnapping their two youngest children ages 7 and 9. Days before the attack, as the felon traveled westbound on Interstate 90, he spotted the children playing in their yard and began planning his attack. This horrific attack was life-changing for many. . . . . The disgusting, sub-human that committed these horrific acts [be prepared to be sick] had recently been released from prison and was known to and wanted by state and federal law enforcement. After he was apprehended, media outlets released a list of GPS coordinates visited by the killer prior to his attack on the Wolf Lodge family. The list contained coordinates for a location the unconscionable criminal visited many times — the Kindermusik music studio on Spokane’s South Hill — where Kaery and her three children attended twice-weekly music classes. Although Kaery understood that this did not necessarily mean that she and the aggressor were at the same location at the same time, her eyes were opened to the truth: evil people, even serial killers, can be anywhere at anytime — they can even be at “safe” places like Kindermusik. With that realization, Kaery knew she had to accept responsibility for keeping her children safe but she didn’t know where to begin or where to turn for help. 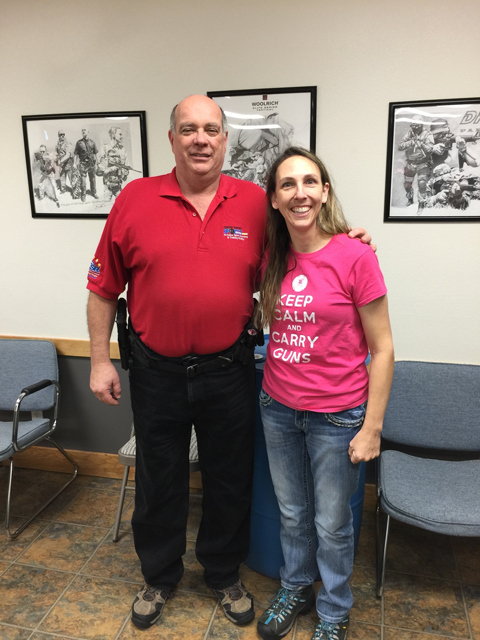 She started by reading books by experts in the self-protection space: Principles of Personal Defense by Col Jeff Cooper, In the Gravest Extreme by Massad Ayoob, and Armed and Female by Paxton Quigley. While the books were extremely enlightening, Kaery knew she needed more than just knowledge — she also needed effective skills. The search for a trainer was daunting because the only training available was offered by instructors with extensive military or police experience where the “rules of engagement” are dramatically different than those of a private citizen. 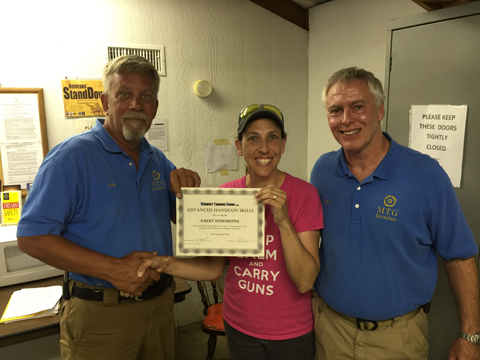 Kaery needed training from a civilian perspective where she would learn how to best protect herself and her children; 15 years ago it didn’t exist. 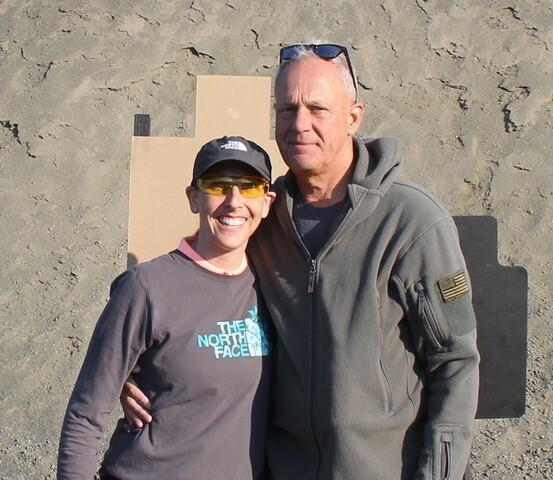 With no other option, Kaery decided to dive into the only training that was available (from a military and law enforcement perspective) and she focused on finding the tools, training, and tactics that a mom needs to master in order to safely, legally, and effectively protect herself and her children. Kaery began her training with Clint Smith at Thunder Ranch and she continues to train several times a year under the most respected trainers in the industry: Massad Ayoob, Ken Hackathorn, Tom Givens of Rangemaster, Dave Spalding of Handgun Combatives, Craig Douglas of ShivWorks, John & Vicki Farnam of Defensive Training International, Vince Luke of Martial Blade Concepts, Lt Colonel David Grossman, Tim Larkin of Target Focused Training, Wes Doss of Khyber Training, and Scotty Banks of Glock to name a few. 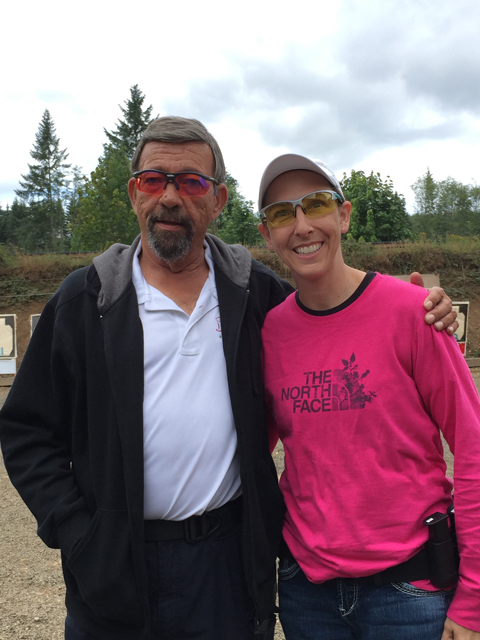 Kaery remembers what it was like to want to learn how to safely, legally, and effectively protect herself and her children — yet not know how or where to even begin. She remembers searching for professional, family friendly, civilian oriented, self-protection training and the frustration of not being able to find what she so desperately needed. Gradually, Kaery began to share with her friends and family what she was learning from her training and little-by-little the foundation of Kaery Concealed emerged. 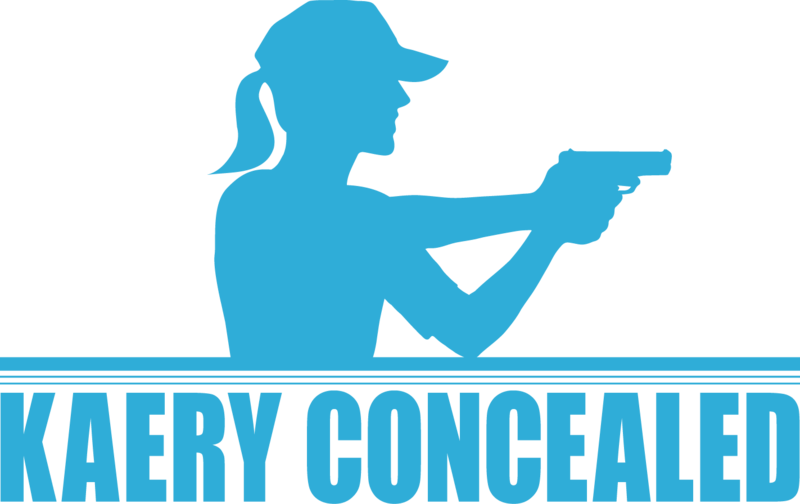 Today, Kaery Concealed offers professional, personal protection training in a non-intimidating, family-friendly setting. 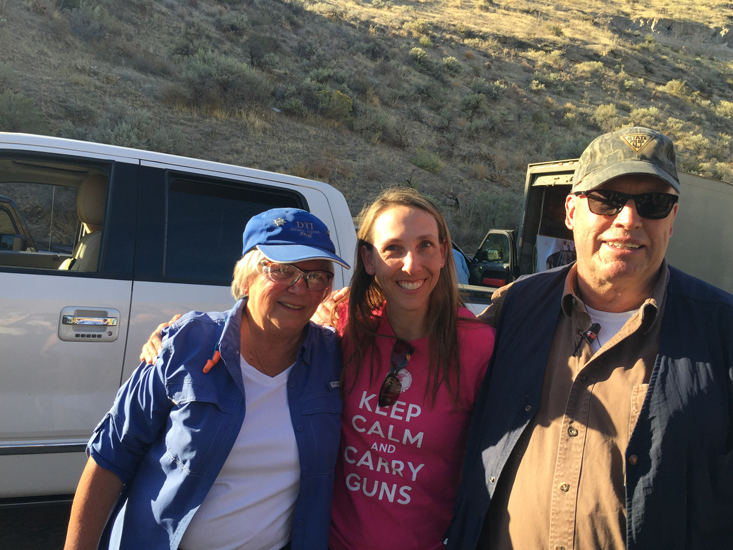 We strive to instill in our clients the knowledge and skills they need to successfully protect themselves and those they love — and we do this in a caring a supportive setting — a setting that is completely void of the ego and bravado that often characterize the firearm industry. Kaery is a wife to one and a mommy to seven. She has a M.Ed in Curriculum Development – Gifted Education Emphasis from Whitworth University and has been teaching in a variety of capacities for over 25 years. 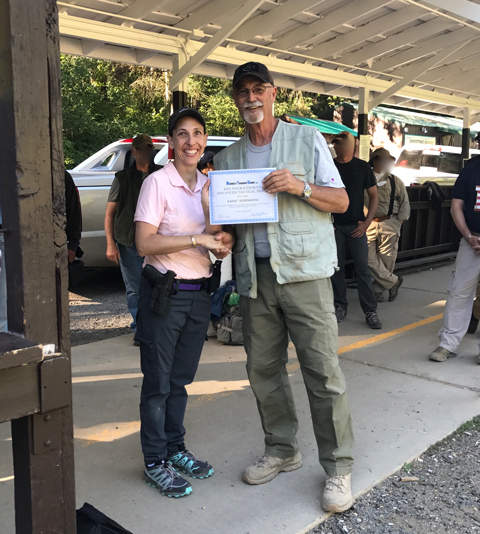 Kaery trains under and is mentored by some of the most respected master firearm instructors in the country, and she assimilates the most practical methods and proven techniques into her courses. 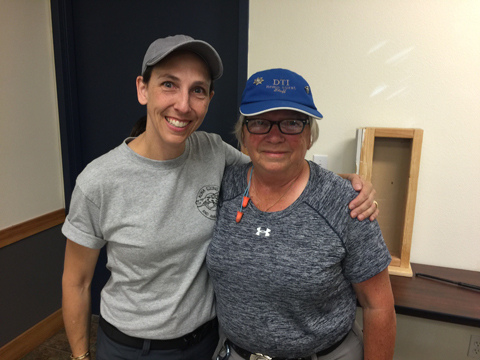 Every de-escalation, disengagement, and defensive strategy she teaches originated with the master instructors she’s trained under — these strategies are effective for the average citizen wanting to learn how to safely, legally, and effectively protect themselves and those they love. Kaery’s work with hundreds of women gives her a deep understanding of the barriers, challenges, concerns, and needs of women desiring to take responsibility for their own safety and learn how to protect themselves and those they love. All of Kaery’s courses are designed to meet you where you are on your self-protection journey and help you develop the practical, street-proven knowledge and skills necessary to PREVAIL should you ever be faced with a violent encounter. 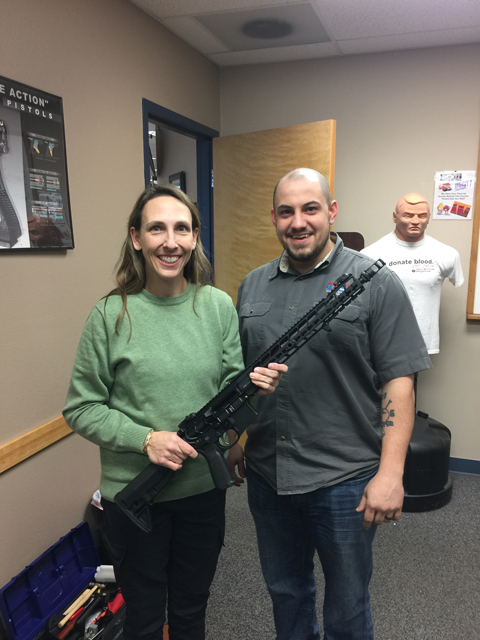 I’m passionate about continuing my own journey as a firearms student and pursue learning from the best our industry has to offer as frequently as I can. Below are a few photographs from some of my training with nationally recognized instructors across many disciplines. 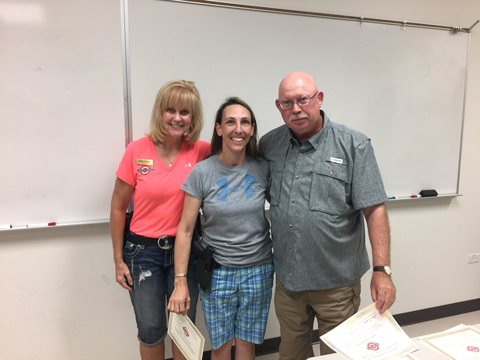 In addition to those pictured below, here are some training highlights and instructor certifications from the last couple years.